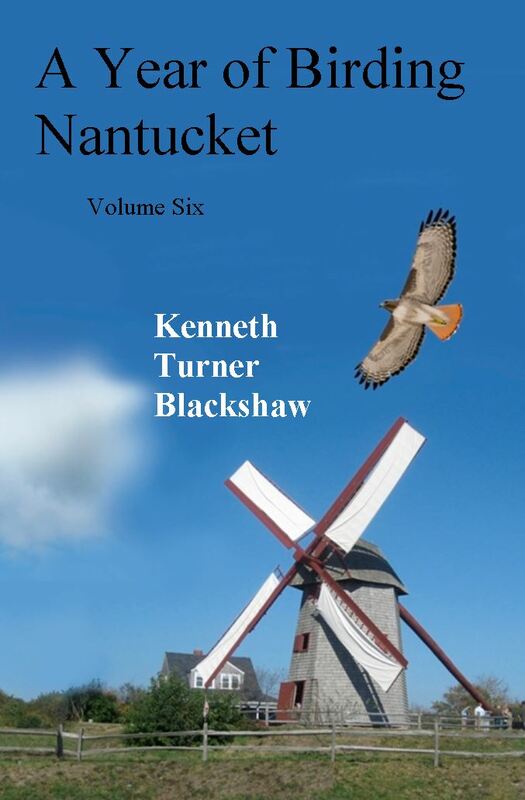 On the cover you see a Red-tailed Hawk soaring over one of Nantucket’s favorite landmarks, the Old Mill. Garth Grimmer provided the image of the mill, ‘under sail,’ and George C. West provided the image of the hawk and did some tweaking to make everything fit nicely on the cover. You can read about ‘Old Mr. Red-tail’ early on in this volume. As the great Roger Tory Peterson said, “Birds have wings and they use them.” When they do, they often find Nantucket Island, a very special 15 by four-mile drift of sand in the Atlantic. Nantucket is one of the most amazing spots on the globe for birds and for the people who study and enjoy them. Here, perched between continent and ocean, we are in a spot that is often the last gasp for wind-borne land birds or the first solid ground for weary ocean travelers. Sankaty Lighthouse is on the bluff at the island's east end. There are several lookout points near there where exciting ocean birds can be seen. This book tells over 40 stories of these marvelous winged creatures over a birding year on the island. Whether you start at the beginning and read to the end, or pick a chapter that matches the current date, you’ll find entertaining stories and learn amazing things about your feathered neighbors. Nantucket’s birding stage hosts a continually changing cast of avian characters making love, going to dinner, and sometimes to war. This is the fourth volume based a series of weekly snapshots originally published in the Nantucket Independent newspaper. If you are not already a birder maybe something you’ll read will encourage you to pick up a pair of binoculars and look at one of your feathered neighbors. Observe what it is doing and then ask yourself, “Why is that?” Birds are all around us and if you start watching them your life will become richer indeed. Mitchell's Book Corner, or from the bookstore in the sky Amazon.com. You may also phone in orders at 843-760-8199.